Do you love when it’s Grill Season? If you’re like me, grilling season is all year long! Summer time is all about being gathered around the grill. Where as in the winter time, you only go out to the chilly air to check the meat and coals…then run back inside! I have such sweet neighbors, they often come over to tell me the back of my house is on fire smoking. 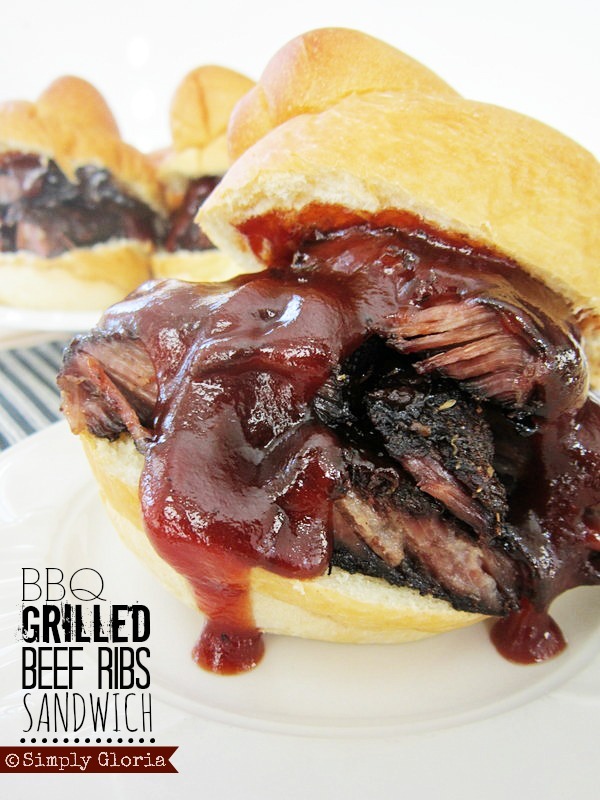 Whether you prefer grilling with gas or charcoal, making these BBQ Grilled Beef Ribs Sandwiches are very simple! 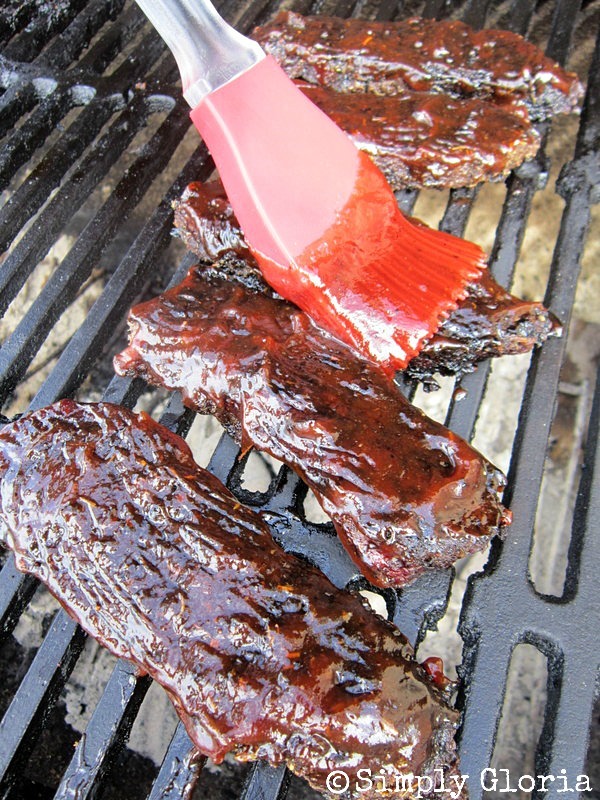 You’ll love how tender these boneless ribs are. Slather them with your favorite BBQ sauce and put them between a sliced bun…and you have a mouth watering Beef Rib Sandwich! If you are a charcoal griller (such as me). Start by getting the coals ready. 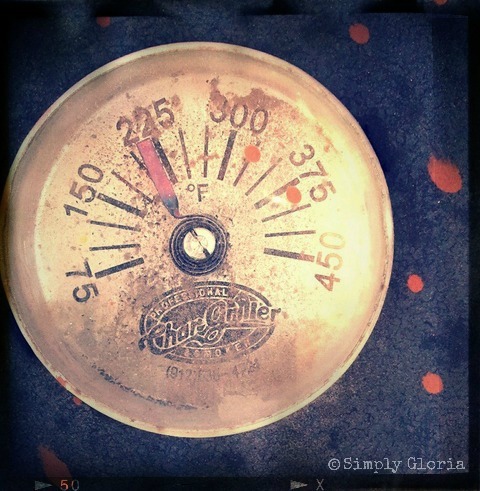 Your temperature on the grill needs to be no higher than 225 degrees. These ribs are going to cook for about 3 hours. It’s all about LOW heat and SLOW time. 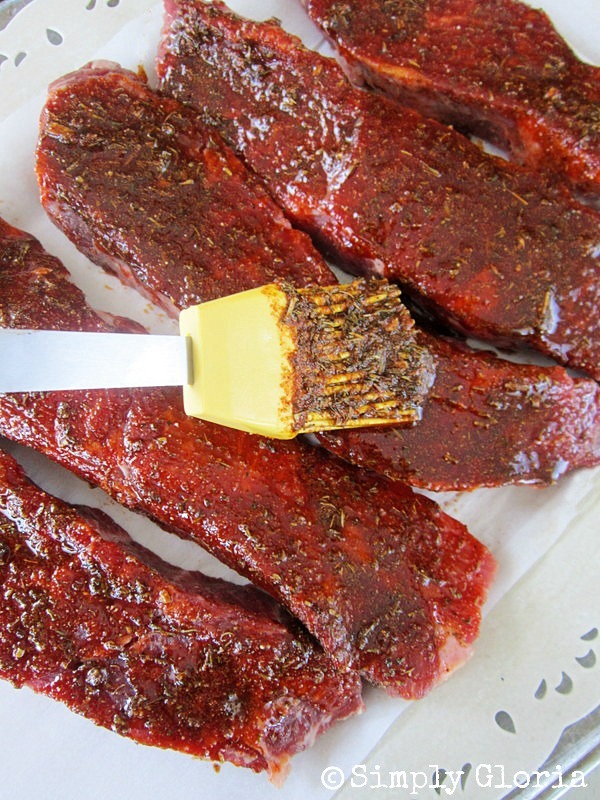 Prepping the boneless beef ribs for the hot grill is very simple. Add the thyme, paprika, garlic, and onion powders to some olive oil. Mop the olive oil and seasoning mixture onto both sides of all the ribs. Grill for about 3 hours. Put some BBQ sauce on the meat in the last ten minutes of cooking. When finished, pull the ribs apart with your fingers. (No cutting with a knife is needed…these ribs are super tender!) 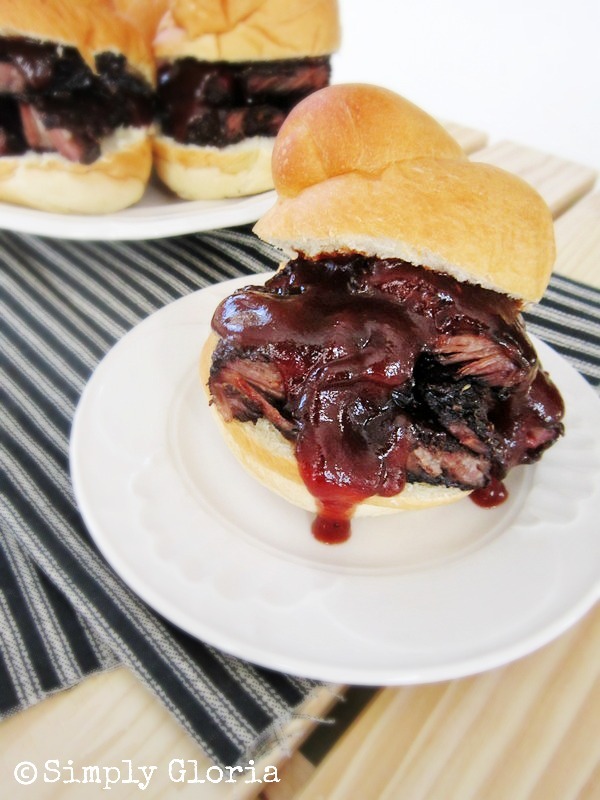 Put inside of a super soft bun/roll and serve with more BBQ sauce! Are you a charcoal griller or do you like to cook on the gas grill? Preheat grill no higher than 225 degrees. Mix the dry seasonings into the olive oil and mop each side of the beef ribs. Turn the meat once after putting on the grill. Grill the meat up to 3 hours. Last 10 minutes of grilling, mop the meat with bbq sauce. When finished, pull the ribs apart and put inside of buns or rolls. Thanks Anne! My Justin and I love to grill. The older boys will even volunteer to make dinner …and grill. Gloria, this looks absolutely incredible and your photos of this are amazing! This is like my husband’s dream sandwich, no kidding! We’re charcoal grillers, too! Definitely putting this on the summer must make list. Thanks for sharing and hope your Sunday is happy and fun! Hugs! Oh…pinning, of course! This looks so sloppy good! I LOVE grill cooking! It isn’t good unless it’s a sloppy mess, right? And Tahny, you’re right…grilling is fun (and delicious)! Gorgeous post, Gloria. That first photo makes me want to take a bite of that sandwich! Oh my goodness, I’m not a big meat eater but just looking at your photos makes me want to grab a big bite of that sandwich! My hubby would absolutely love these. He’s a year round griller too but I agree, it’s definitely more fun in the warm weather 🙂 This bbq sauce with paprika and thyme sound amazing Gloria! Pinning! Thank you so much, Kelly! I’m not much of a meat eater either. But of course with a family full of boys, they sure are! Thanks for the pin action! You make me miss Summer more now. I love grilled meat but don’t own a grill at the moment. After looking at those gorgeous pictures, I want it fast! We were to get one the forthcoming summer and I know for a fact that this is going to be the inaugral dish! Awesome Gloria..love your recips! I found your site through Cindy! Everything on here looks wonderful…I don’t even know where to begin! This sandwich though is mouthwatering. Another perfect summer dish. You are so sweet, Catherine! Thank you so much! OMG…..I WANT those…..like NOW!!! That sandwich looks absolutely amazing Gloria 🙂 We have a gas grill that is dying. I am thinking about going back to charcoal, but I’ve gotten lazy with the gas! That’s what my husband says with his buddy that has a gas grill…lol! So his friend was tired of hearing my husband complain…so he bought a charcoal grill and loves it! I’ve never tried gas grilling myself. OMG. Gloria, I want one of these right now for breakfast! I LOVE LOVE LOVE this sandwich. Pinned and sharing on Facebook later today! Have a great day! Thanks so much for sharing the love, Julie!! I’m glad you like it! 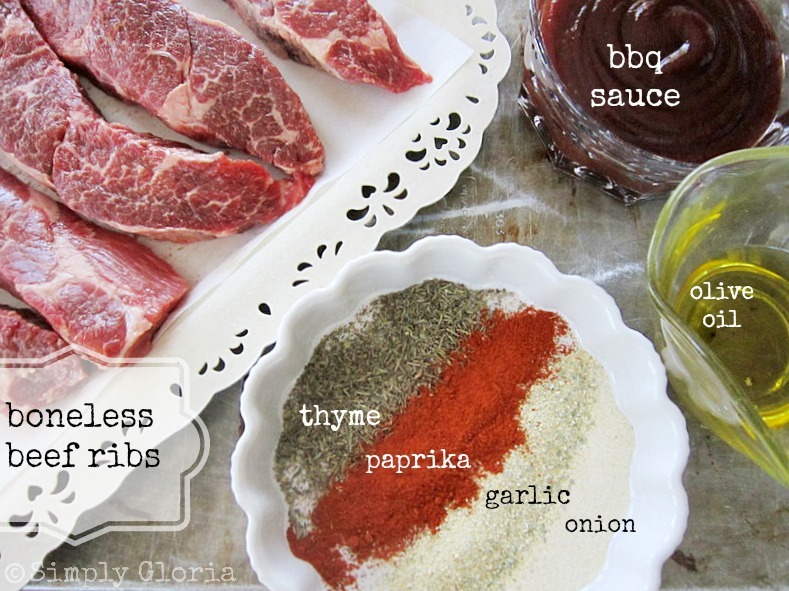 Marilyn recently posted…Party Thyme – Get Your Grill On Link Party AND Spice Giveaway! Hi Gloria! I will be featuring this at the party on Sunday! Thanks again for sharing at Marvelous Mondays! Thanks for sharing at Party Thyme. 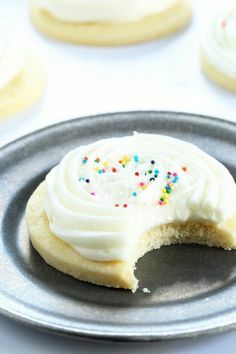 This recipe has been pinned to my Party Thyme features board. Have a wonderful holiday! Marilyn recently posted…July’s Party Thyme – Theme Reveal and Giveaway Winners!